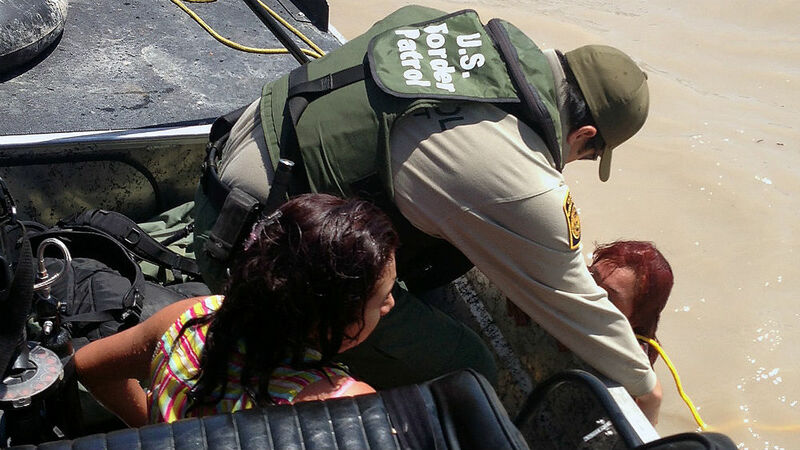 New figures from the Department of Homeland Security show that the surge in unaccompanied minors along the southwest border slowed by half in July after steady growth throughout the year. The report, released late last week, was overshadowed in Washington by news about U.S. airstrikes in Iraq. 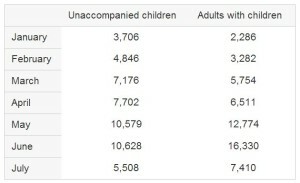 Data released Aug. 7 by the Department of Homeland Security. 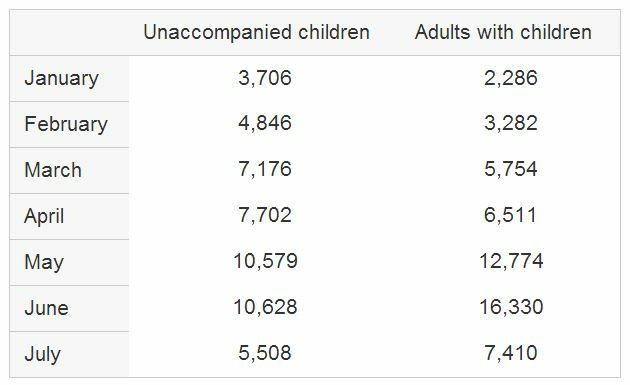 Secretary of Homeland Security Jeh Johnson said the numbers show a “significant decrease in apprehensions of unaccompanied children and adults with children” and noted that the trend continued in the first few days of August. He said removal times for unaccompanied adults have been reduced from 33 days to four days, additional detention centers have opened, and flights to Central American to repatriate people have stepped up. “While the decrease in apprehensions in July is good news and reflects a positive trend that we hope continues, the current numbers are still higher than the number of apprehensions for children and adults with children during past years,” Johnson said in a statement. He said he was disappointed that Congress adjourned without acting on President Obama’s request for supplemental funding. “To avoid running out of money, I have been left with no choice but to reprogram money away from other homeland security missions. In all, DHS is reprogramming $405 million away from other mission areas to support the response to this situation in the Rio Grande Valley,” he said. The effect of the immigrant surge was felt in the San Diego area when protesters in Murrieta turned back buses carrying immigrant families, and when the Escondido Planning Commission turned down a government request to use a vacant building as a detention center.